Karnataka SSLC Hall Ticket 2019: Karnataka Secondary Education Examination Board (KSEEB) is going to release the hall tickets of the SSLC Examinations 2018-19 shortly. Students pursuing the Secondary School Leaving Certificate (SSLC)/Class 10th can download the hall tickets from KSEEB Official website, kseeb.kar.nic.in. This year the Karnataka Secondary Education Board is going to conduct the SSLC examinations in the months of March/April 2019. Students pursuing in the academic year of 2018-19 and going to attend the Karnataka SSLC examinations can get ready by downloading the hall ticket. Students must remember that the hall ticket is the most important document to proceed with the examination. By downloading the hall tickets, students can check their examination venue, date, and timings; and other details of the candidate such as candidate’s name, hall ticket number, candidate’s photo, and signature and other details from it. Download e-hall ticket and take a hard-copy of it to carry to the examination. 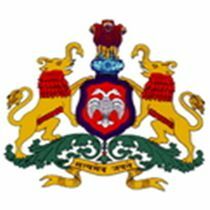 Karnataka Secondary Education Examination Board (KSEEB) is the Karnataka state education board that offers the secondary and higher secondary education. The board yearly monitors the education system of SSLC, HSC classes and organizes the academic examinations for the students. Yearly, a large number of understudies comes out of the KSEEB board with a good pass percentage. The Karnataka education board usually organizes academic examinations in March/April months and releases the result in the month of May/June. The board is going to conduct the SSLC examinations in March/April months for the academic year 2018-19. Students undergoing the studies in KSEEB affiliated schools can check the date sheet from the official website, kseeb.kar.nic.in. Students have to visit the KSEEB Official portal, kseeb.kar.nic.in. On the homepage of the website, you can find the hall ticket download link. Click on it, and enter the required details in the provided columns. Tap on the submit/download button. The KSEEB SSLC Hall ticket 2019 will be downloaded on the screen. Check all the details from it and take the printout of it to carry it to the examination.